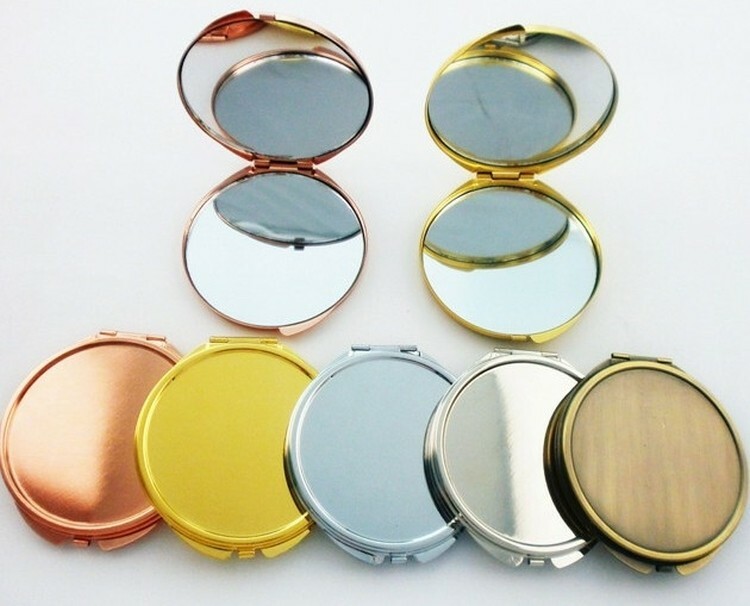 This round compact mirror will have you looking great with your clients. Our compacts come printed with a one color direct imprint and is offered in a variety of solid or translucent colors. Multi color imprint is also available for these compact mirrors. 2 4/5 " X 2 4/5 "